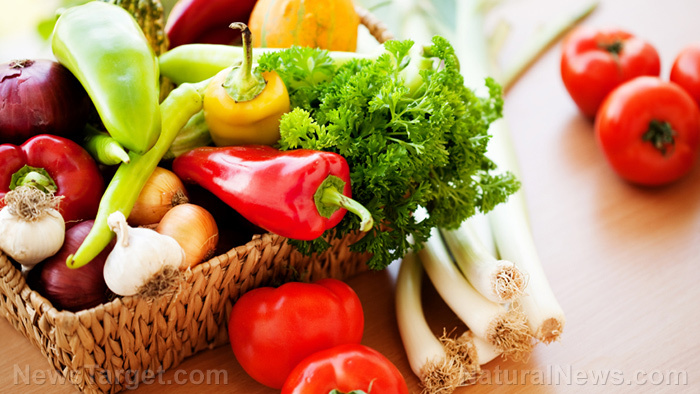 (Natural News) Clothes may make the man, but his diet goes into the genes that make up the man. The Francis Crick Institute News reported that the food we consume could affect nearly all of our genetic data. This yeast model was constructed by researchers from the University of Cambridge as well as the FCI. It indicated that the relationship between metabolism and genes are mutual. Gene activity regulates our metabolic processes. In turn, metabolism produces nutrients that affect the genes in our cells. And when they act together, these two things control the behavior of our cells. Researchers can learn a lot about an organism after viewing the genome that contains its DNA blueprint. However, the genes can be affected by external factors. Metabolism turns food molecules into energy that can be used by bodily processes. But the metabolic network also manufactures the critical parts needed to build cells and ensure their functionality. The biochemical reactions of metabolism depend on the availability of nutrients. These amino acids, fatty acids, sugars, and vitamins come from the food we consume. The Cambridge-FCI research team investigated how metabolism could affect the basic functions of a cell. They used yeast cells to model the cells of more complex organisms. Yeast is easy to manipulate, and many of its genes and cellular behaviors are similar to those of humans. In their large-scale experiment, the researchers fiddled with the levels of metabolites produced by metabolic reactions in the yeast cells. Then they looked at the activity and products of the genes based on the available metabolites. They found that 90 percent of the genes and genetic products responded to changes in cellular metabolism. “Nearly all of a cell’s genes are influenced by changes to the nutrients they have access to,” explained Cambridge researcher Markus Ralser. “In fact, in many cases, the effects were so strong, that changing a cell’s metabolic profile could make some of its genes behave in a completely different manner. Experts have long known that genes are responsible for the breakdown of nutrients into useful energy. But the reverse has only recently been shown to be true. The Cambridge-FCI study proved that the end products of metabolized food could also change the way genes behave. Ralser believed that his team’s discovery would explain many medical mysteries. One of the more important ones is how humans experience different reactions to certain medication. The tumor cells that make up cancerous growths can mutate their genes many times. Each mutation changes up the metabolic network inside cancer cells. If the metabolism of a cancer cell changes with every mutation, it would explain why the genes behave differently. Altering the metabolic processes would also change the behavior of the cancer cell. It could also explain why treatments that are usually effective at treating a disease fail to do anything for specific people. These treatments could be targeting metabolic processes that might be different or do not exist in a small number of patients. Ralser also noted the need to be stricter with regards to laboratory procedures. If tiny changes in metabolism could affect the experiment, then those changes must be more tightly regulated. Nutrients.news can tell you more about the right foods to enhance your metabolism and gene activity.